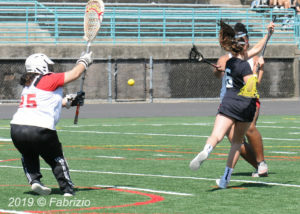 Whitman Lady Vikings are showing signs of the lacrosse team to beat this year in the Maryland 4A West Division. Their 16-0 win Saturday, as visitors on the their home field to Wheaton Knights, makes them 6-0 in league play. This is a very young Lady Vikings team that sports 11 underclass-women (Freshman and Sophmores) on a roster of 23 players. Consequently, it was a pleasure to watch the play by these underclass-women, especially Grace Nemeroff and Taylor Beers. Freshman Beers and Nemeroff lead the attack for the Vikings. Together they had 3 goals and 5 assists. Most noteworthy was Nemeroff’s behind the back goal in the 1st half. It was the play of the game. Reminiscent of the scoring technique made famous by Syracuse University’s Gary Gait (and his brother Paul). 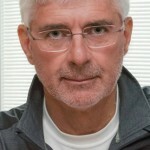 Gait, a men’s lacrosse All-American and Hall of Famer, is the current Women’s Lacrosse coach at Syracuse. 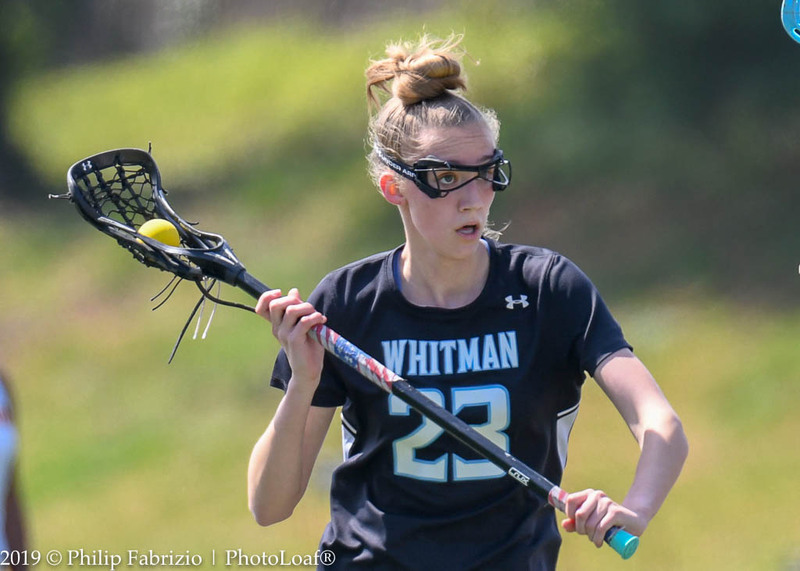 Whitman’s Maya Svec, a junior had two goals, as did sophomore teammates Hanna Freund and Ava Chambers. This all portends great fortune for Lady Vikes lacrosse in the county. Though, it is still early yet in the season, I haven’t looked eastward towards the girls at South River to determine their strengths and potential for a state match-up. 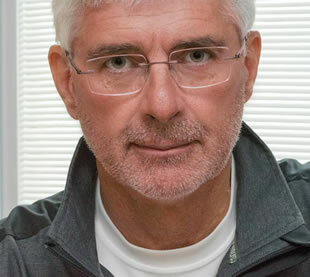 Wheaton has youth too, but is predominately a senior laden team. During a face-off, Wheaton’s rising frosh attack star, Marielle Welch crossed sticks with Whitman’s Nemeroff. That will be a fun match up to watch over the coming years. 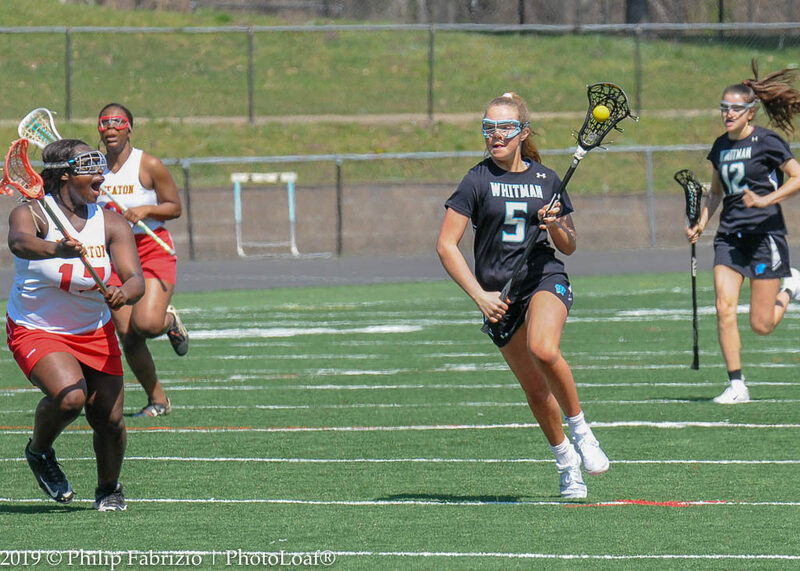 Wheaton’s Coach Shannon Holliday, former Head Coach at Wootton, has her challenges ahead as the Knights will lose 8 seniors on the roster of 17. Kudos to Rosa Linares, Wheaton’s goalie, who came away with 7 saves against 23 shots on goal by Whitman’s attack. 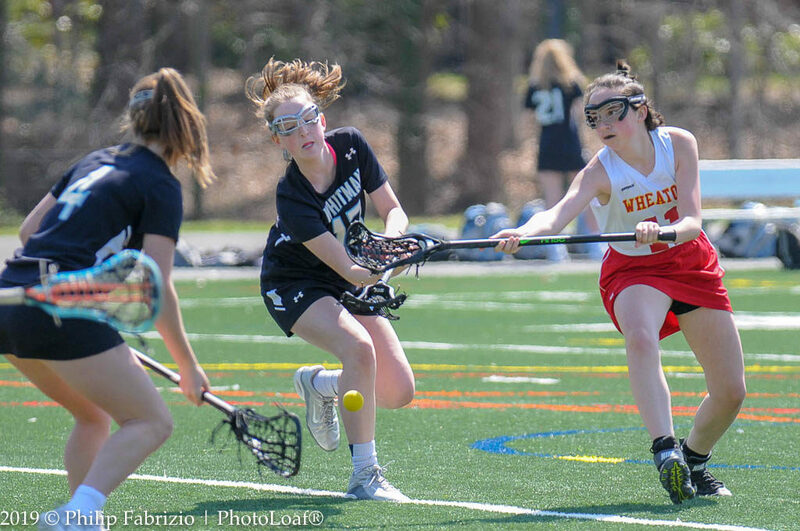 It would not be enough to turn the game around for the Knights as they were stymied at the other end by Whitman’s defense and too many casual loose ball turnovers.